In his Bon Appetit column this month, dessert guru and Superiority Burger founder, Brooks Headley coined a phrase that I can’t stop thinking about: Good Anxiety. 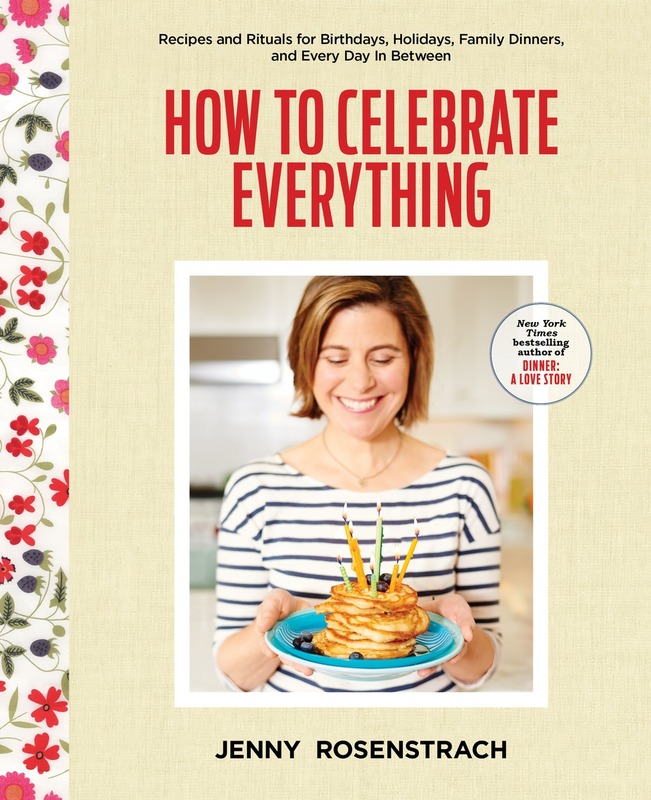 “The impermanence of seasonal produce is one of the joys of cooking,” he wrote. “It gets the blood pumping. 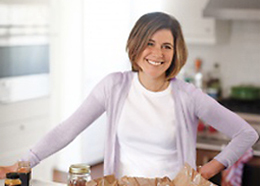 It triggers the good anxiety.” It’s exactly the sentiment I experience when I wander the market surveying the strawberries (or kale or tomatoes or peaches) in a slight state of panic before reminding myself: This is a nice problem; a very nice problem. This past weekend, I discovered that this brand of productive panic also applies to visiting cities like Portland Maine, where there is so much to see and do and especially eat, that we did not stop moving for the entire 36 hours we were there, lest we live with the regret of missing something on the bucket list. It was hard to go too wrong, of course, especially since we had wise counsel from our friends and Portland locals, Mike and Sara, and because…it’s Portland, Maine. Here’s a play-by-play of our day-and-a-half. 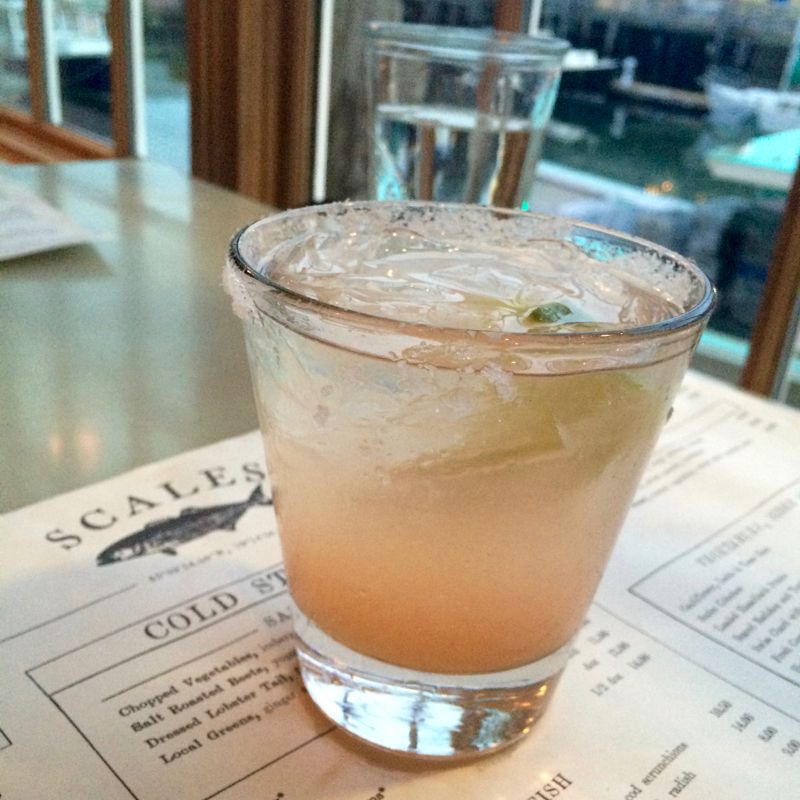 7:30 Arrived straight from sleepaway camp drop-off; picked up Mike and Sara and headed to Scales (68 Commercial Street; 207-805-0444), a brand new restaurant on the Waterfront from the geniuses behind Fore Street. I loved this place before I even had a sip of that gorgeous cocktail you are looking at above. (The restaurant is so new, there’s not even a website to remind me what else was in the drink besides grapefruit juice and Cold River gin) Our table in the high-ceilinged, bright industrial space, was a few feet away from lobster pools, and had window-seat views of Casco Bay and postcard perfect tugboats. As for the food: The menu delivered on every Maine expectation in the best possible way: Scallops with bacon and corn, lobster rolls, crab salad that was drizzled with a spicy Louie sauce, a fleet of the meatiest, richest Little Neck clams. Go. 10:00 pm Checked into The Press Hotel, which, until 2010, was home to the offices and printing plant of the Portland Press Herald, Maine’s largest newspaper. Located in the center of the Old Port district (i.e. walking distance to almost all of our favorite food spots), The Press also featured what Andy woke up and called “the world’s most comfortable bed,” a friendly, accommodating staff, and nods to the building’s history — headlines as wallpaper, an installation of old typewriter cases in the lobby — everywhere you looked. We will definitely be going back. 8:30 Four-mile run along the Eastern Promenade Trail, right off Commercial Street, with pretty views of the ocean and harbor, alongside an old railroad track. (How else to prepare for/justify the gluttony that was about to unfold?) Do your best to run on a clear day when the bay literally glitters with sunshine. 9:00 First stop: Tandem Coffee and Bakery. This place has made headlines for pastry chef Briana Holt’s baked goods, but we just grabbed a malted ice coffee (which was like drinking a light coffee milkshake. A good thing) There’s no doubt this place takes its craft seriously, but they don’t take themselves seriously, which is a big difference. We sat in the sunny space for a few minutes and watched the regulars — moms, dads, commuters, cyclists, runners — get their morning fix. 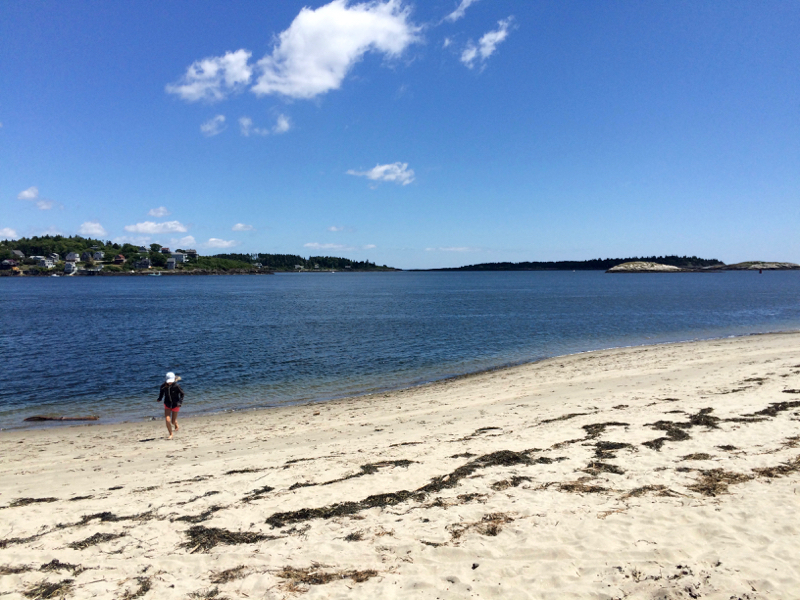 10:00 We all decided we wanted at least part of the day to be spent doing something super summery, so we headed north-ish to Popham State Beach, stopping in Brunswick and Bath along the way because…why not? In Brunswick, we wandered Bowdoin College’s idyllic 200-year-old campus (and reminded Abby to study really hard); in Bath, we stopped long enough to visit the local bookstore and check out the flood of shipyard workers on their lunch breaks. But we were back on the road by 11:30. 12:00 Pulled into the parking lot of Popham Beach State Park, then realized: We were starving. Not just starving, but New- England-Seafood-Shack kind of starving. We asked the parking attendant if she recommended anything in the area, and she said “Take a right out of the lot, head up Popham road about a mile, and there’s a place with a lot of fried food.” Lucky for us, she was talking about Spinneys, where, in addition to the fried stuff, they offered lobster rolls, Old Soaker blueberry sodas, and ocean views from our outdoor picnic table. Yes. It’s every bit as good as it sounds. 1:00 Popham State Beach. Look at that beach. Actually, this was the front yard of Spinneys, but head to the right about a mile, and you have nothing but a calm sandy coast looking out onto crystalline waters of the Atlantic. (Crystalline: Code for bracing/exhilirating.) We walked, waded, read a bit, nodded off a bit, perfected our handstands (well one of us did anyway). If there is a better way to spend two hours in the summer, I do not know what it is. 4:00 Back to Portland! There was much talk about what our last big meal in Maine would be. Abby, a pizza enthusiast of the first order was lobbying hard for Slab (walk-ins only); I was waffling between Central Provisions (epic line situations; walk-ins only), where we’d never been, and Eventide (epic line situations; walk-ins only), which never disappoints; Andy threw in Fore Street (even though there’s little hope of snagging a last-minute reservation there). We decided to hit a few favorite shops downtown — Old Port Spirits and Cigars for local booze and beer (Peeper Ale, pictured above); K Collette for artisanal home goods — and play the dinner situation by ear. 6:15 You know us by now. We are not play-it-by-ear people. We like plans. But we also really really like Eventide. At some point on our walk we just decided to commit to it, and embrace whatever epic line situation presented itself. To be honest, I can’t really think of any other restaurant for which this would be the case. Naturally, I love it for the oysters, but the whole menu is like reading a diary of “All Jenny Needs in Life.” Above is their peekytoe crab roll, and that is Andy’s hand telling Abby to “Take a breath. Wait. Breathe. 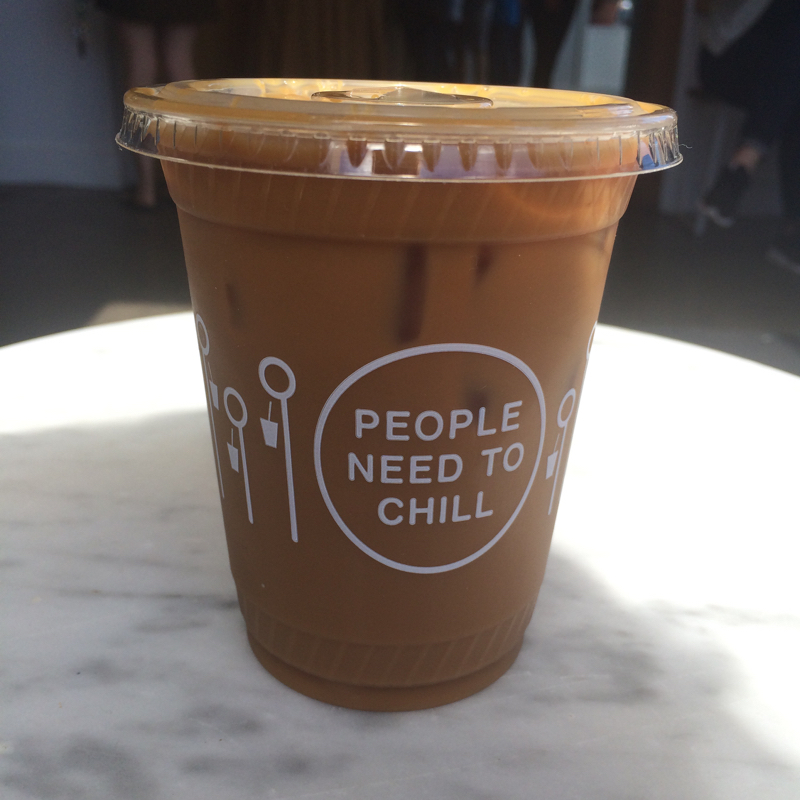 Chill.” (You have to act fast at our table sometimes.) We also had a dozen oysters, hamachi crudo, the brown butter lobster roll, fried chicken rolls, greens with dashi, a homemade ice cream sandwich, and of course Gin & (artisanal) Tonics (and root beer) while we waited to be seated. The Portland gods were with us: the wait was only 25 minutes. Our Oyster order. I’m so hungry. 8:00 Even though we had to be on the road early, there were two more major boxes to check: The Holy Donut (above; where we indulged in their Maple Cream, Strawberry Lemonade, Chocolate Cinnamon; and where Abby nearly fainted from euphoria) and then The Speckled Ax, an old favorite, whose counter area looks more like a chemist’s lab than a coffee shop. 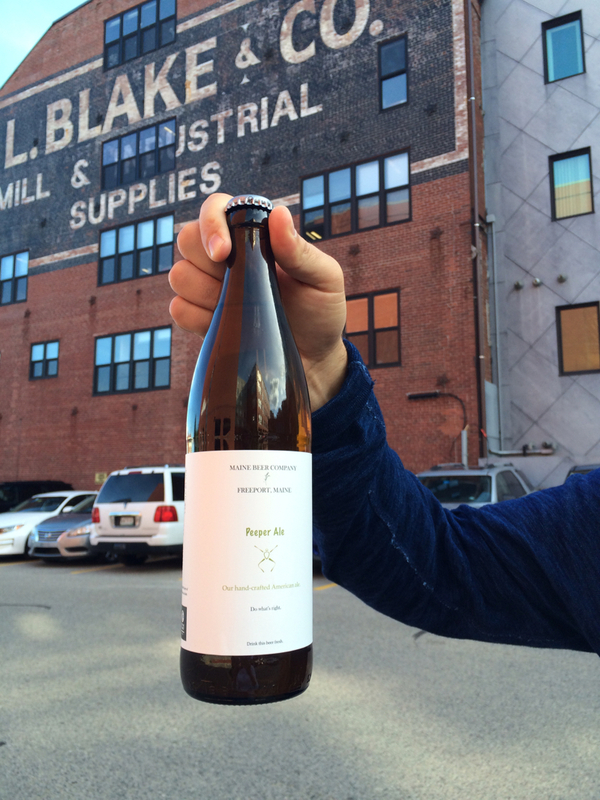 Related: Bon Appetit‘s Where to Eat and Drink in Portland; 36 Hours in Austin. OH NO! Did you miss the Gelato Fiasco in Brunswick? Honestly, the best ice cream this side of the Atlantic. Next time, next time. (And a secret: line up at Fore Street at 5pm and they save a certain number of tables throughout the night for walk-up reservations to be made at 5pm…) Portland is one of my very happiest of places! Agreed, Jessica! Gelato Fiasco is AMAZING. YES! I was just coming to say the same thing. We’ll be there in 10 days! Oh my GAWD, the blueberry Gelato Fiasco milkshake we had a Duckfat was one of the most delicious things I have ever had in my life. So, so, SO good. Love love love this post! I can’t say enough about my hometown…moved back here ten years ago — after ten years away in Seattle, San Francisco, and NYC! — and haven’t looked back. Pretttttty sure I know of the Mike and Sara of whom you speak (because it’s a small town), but that’s neither here nor there. You hit Portland, and you hit it wicked hahd (intended “h”)! Nice work. I second the Micucci pizza. Holy Donut (thank you, Jesus, for bringing a little Holy D/Otto pizza outpost to Yarmouth, too), Duckfat, Eventide. If you’re shopping in Freeport, I recommend a stop at Harraseeket Lunch + Lobster where the onion rings are pillowy good and the lobster rolls are divine. And the view is pretty rad. Same thing goes for Five Islands Lobster in Georgetown. I second Scratch in So. Portland — right up your alley, I believe, as is 158 Pickett (a small cafe also in SP). You can grab some food and walk down to Willard Beach. Also I think a trip to Allagash Brewing Co. should be on your next itinerary. Lots of goodness to be had there with food trucks and beer and smiling faces. We stayed in Yarmouth at Dave’s airbnb apartment. OMG we loved it! Dined at the Otto pizza of which you speak and stopped in daily for a Holy Donut. How lucky you are to live there-it’s dreamy! I love that phrase, “good anxiety”- it could be applied in many different circumstances. Love it. Gorgeous! We visited a couple summers ago and ended up at many of the same spots. I feel the same way about Eventide — that whole menu sings. Hugo’s (its sister restaurant nextdoor) is one of my favourites. I wish Press Hotel was open when we visited; have heard here and from several others that it’s just wonderful. My home town! Can’t wait to be home for a visit myself in a few weeks. Take your pizza-lover to Flatbread or Otto’s on your next trip, big favorites in my family. We loved both places for pizza. Flatbread was fun for the kids. They played with dough while we waited for our pizza. Otto had an amazing, simple menu and cozy atmosphere. It was perfect walking distance from the art museum! Aw shucks, you make my hometown look so good. 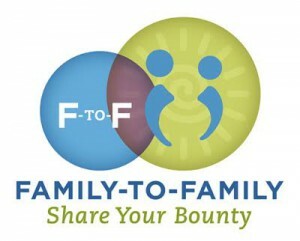 You did a great job, in my humble opinion, of eating in Portland/Midcoast area. 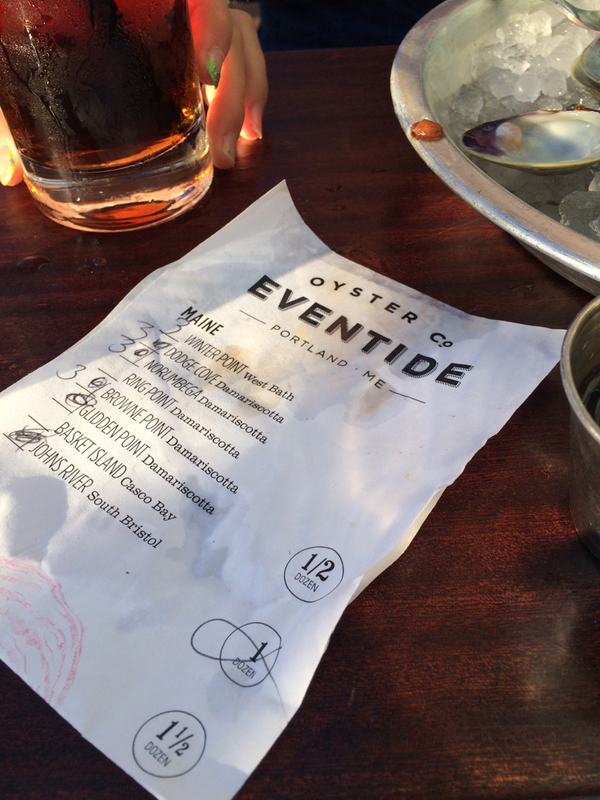 My husband dreams about the BBQ oyster bun at Eventide. It’s the only thing he asks for on his birthday each year. I have never been to Scales, but will add that to my list. Next time you are back, check out Standard Bakery, which is in back of Fore Street. Grab a coffee and a blueberry oat scone and head across the street to the ferry terminal to find a bench and dream of the day you will be boarding one of those ferries bound for your island vacation home. Or actually buy a cheap ferry ticket and take your coffee/scone on the boat to Peaks Island, get off and walk around the island. Cheers! I rarely comment but has to write today! We were just there last week picking our son up from camp…and we stayed at the same hotel (loved it) and hit a lot of the same restaurants. I’d add Duckfat to your list next time: right down the block from Eventide and quite delicious. My mom and I took a weekend trip to Maine from PA (freaking crazy- don’t try the timing of that one). 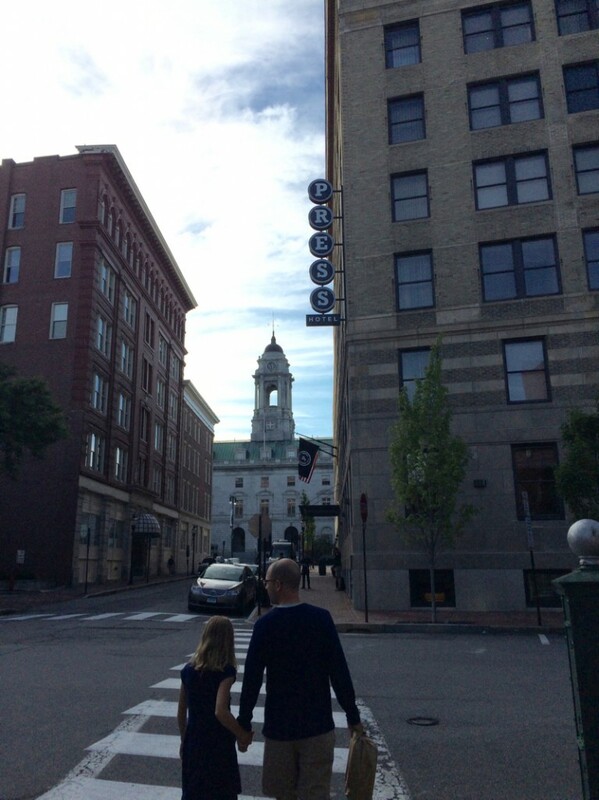 We stayed in Brunswick as our whole purpose was to see Ghost the Musical at the Maine State Music Theater. We ate breakfast at this little dive diner in Brunswick which had the best homemade toast and awesome hash browns. 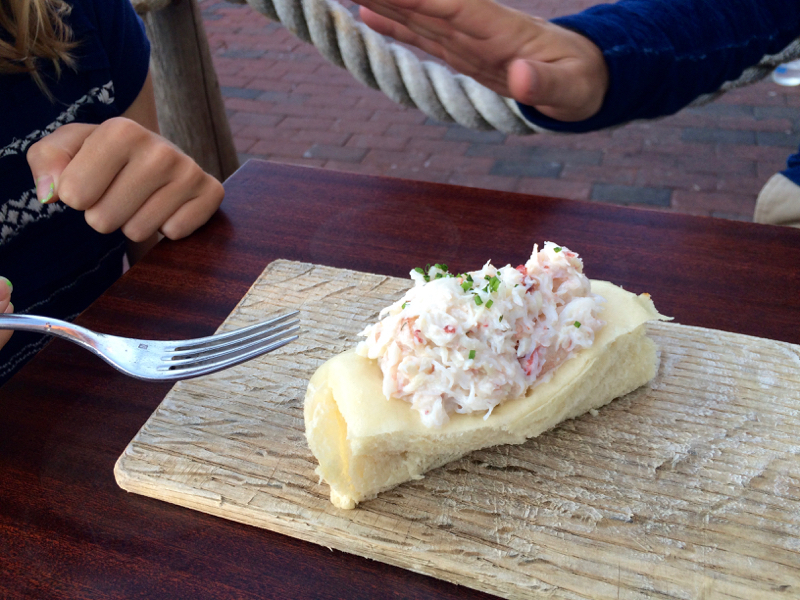 But the real kicker for us were the lobster rolls and sweet potato fries at Holbrooks. Located down a residential alley, we LOVED the food and the atmosphere. We also visited Portland and went to the Portland Head Light which is STUNNING! 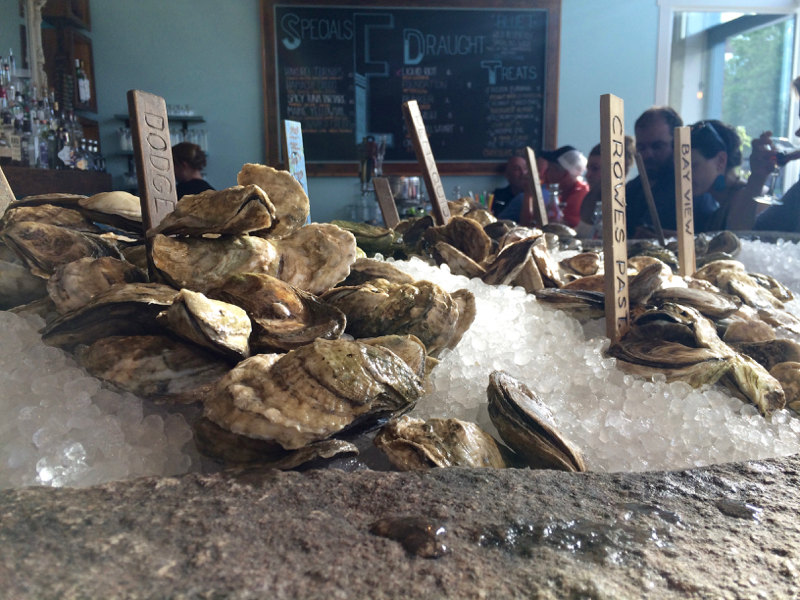 We had a wonderful lunch at the Pemaquid Lobster Co-Op. Best haddock sandwich I had all week and everything else was fantastic! They had a massive 13 pound lobster there too that we were in awe of! I moved to Portland three years ago, and I’m still discovering great places to eat! Duck Fat is a must for Belgian style fries and milkshakes, and yes all the food is fried in duck fat! Nosh is a great local burger place with craft burgers, sandwiches, and the much lauded bacon-dusted fries. Susan’s Fish and Chips is a great spot filled with The Perfect Storm memorabilia, and you can even bring them fish you catch to be fried up. They have the best clam chowder! Local 188 is an awesome place for tapas and cocktails in the evening or brunch in the morning. And so many other places! Oh man, Portland is one of my favorite places on earth! My boyfriend’s family lives there so we go to visit a few times a year at least. I’m so glad you got to go to the Holy Donut, which is one of our personal faves (their chocolate sea salt is my favorite donut ever), but you missed out on the Gelato Fiasco!! 🙁 Also, if you want some slab pizza without having to sit down at Slab, you can always go to Micucci’s Grocery which sells the same recipe, and you can eat it immediately. As a Mainer (and Lord Jeff) I approve of your picks. 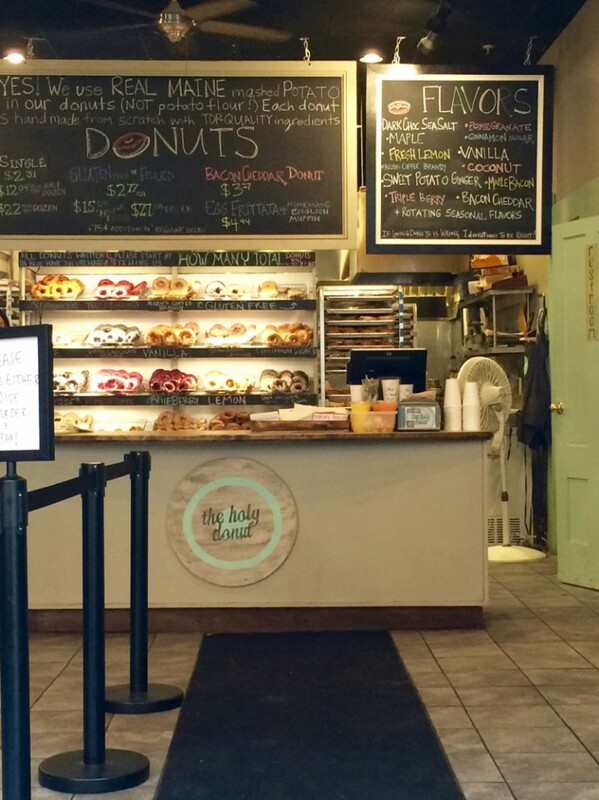 For next trip: must stop at Scratch Bakery in South Portland for an out of this world bagel and walk along Willard Beach. Lunch at “Bite Into Maine” foodtruck in Fort Williams Park, Cape Elizabeth. Finally, wine and apps at Drifter’s Wife are second to none. And finally, run the around the Back Cove boulevard! scratch baking co. for bagels and baked goodies ( south portland) and more & co on high street. We were in Portland a few days before you while on our Maine vacation. You chose well in avoiding Slab, especially as you can get pizza that’s a billion times better in NY. It was disappointing, although their chickpea cauliflower “pizza” was good. We really wanted to go to Eventide, but decided it wasn’t worth the risk of ruining others’ experiences as we had small children in our group. Next time check out Mt. Desert Island ice cream co. It’s seriously some of the best ice cream we’ve ever tasted. It’s on Exchange st.
Love that you posted this! On our way to Portland tmw and made a reservation months ago at Forestreet! You missed the absolute best pizza in Portland, it’s at Miccuchis, an Italian grocery store on India street. They make Sicilian slab pizza that has people lining up and out the door. Each slice is enormous and only $5 and has he most delicious dough you have ever tasted! I’m a Bowdoin student from California and am very protective of the food scene in Brunswick and Portland. SO many good options in both places, but you definitely hit the main ones in Portland. I love going to Flatbread Co. and Duckfat in Portland, but Holy Donut and Otto are favorites too. In Brunswick there are tons of delicious options: Broadway Deli for breakfast served all day, Little Dog Coffee Shop, Shere Punjab for Indian food, El Camino for Mexican inspired food, Tao Yuan for Chinese-inspired cuisine, Wild Oats is an amazing deli, Portland Pie Co. for pizza, and Frontier is my absolute favorite restaurant for a celebratory occasion. 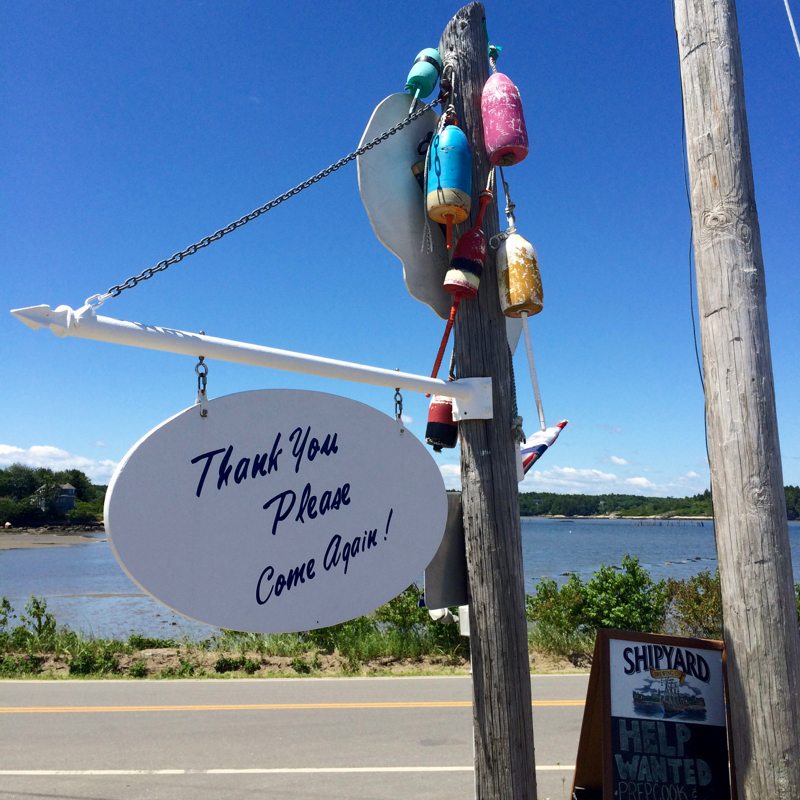 Thank you for the fantastic blog post about Maine! You definitely hit the highlights. Hope you’ll come back again soon and try out more the amazing offerings here. The Portland of now is in a different food universe than the Portland of my youth. 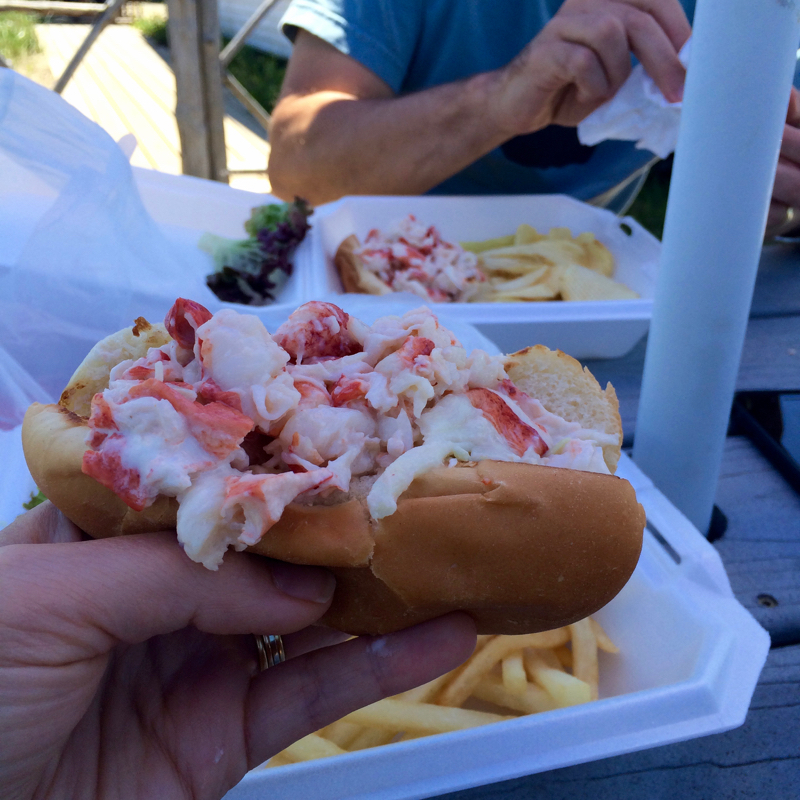 I see that others have gotten in some plugs before me, so let me second Bite into Maine for lobster rolls, Scratch Bakery (in my neighborhood!) for bagels and other goodies, Standard Bakery for more pastries and bread, and let me add Bissell Brothers Brewery at their new location on Thompson’s Point. Love this post because I LOVE Maine! Moved back 14 years ago after moving away when I was 12. 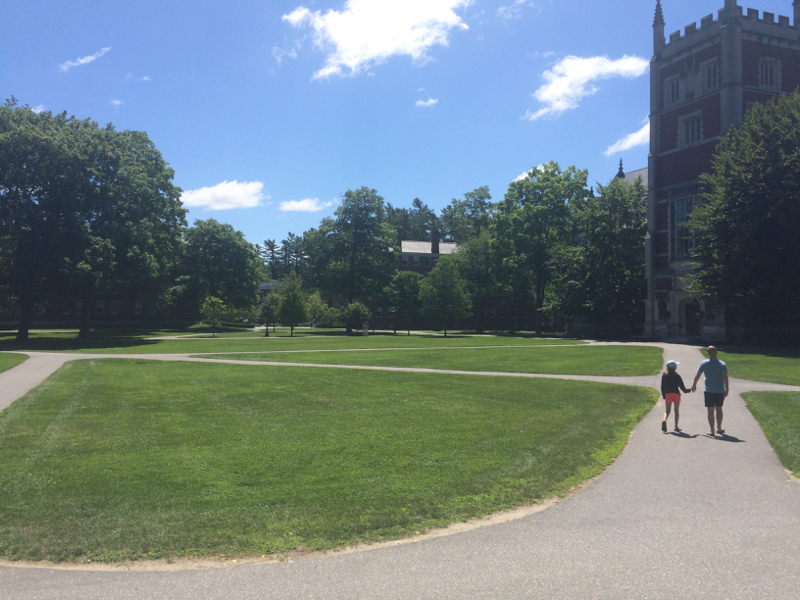 Spent my college years at Bowdoin…yes, Abby would love it! Next time you should check out the local Cape Elizabeth haunts too…a stay at the Inn by the Sea with it’s amazing view of Crescent Beach is a must. Fried seafood and lobster rolls at the Lobster Shack can’t be beat with that location and we have wonderful new places like C-Salt Gourmet Market, Bite into Maine and Rudy’s as well as long-time favorites like The Good Table. Scratch is right up the road too. There’s nothing like Maine in the summer! So having just returned from Maine a week ago, I opened my iPad and this page was still open from when I consulting this post prior to my trip. We took some of your recommendations on purpose (though many were cross-referenced elsewhere as well), but now I’m laughing at how much I actually unwittingly duplicated your trip, right down to the maple cream donut and the the malted iced latte! What a great city! I’ve got all the feels for relocating someday! I would add a couple of recommendations of my own though I’m sure Duckfat was already mentioned. How about Hot Suppa! For 1$ oyster happy hour (4-6), honey chipotle wings and catfish tacos (there’s a Louisiana vibe for sure!) it’s just one block from Tandem coffee. PS: I also took a similar photo at Eventide-ha! Central Provisions is a masterpiece in every way. Go back.